Destiny is Upon Us. Well, The EP Anyway. If you got on InternetDJ.com about six months ago, it was hard to miss the annual remix comeptition which InternetDJ.com hosted with my label Addictive Vibe Records. The remix competition centered around my original progressive house track Destiny. The track peaked at #1 on InternetDJ.com charts in the summer of 2014 – which was onviously exciting for me as it was the first time I’d had an original hit the #1 spot (I’d done it a few times with remixes). Out of the 17 total entries in the running one track stood out in the crowd with solid production value. Andy Line approached the competition with a light, summer dance beat, incorporating a few major elements from the original track. After a few months of figuring things out with Andy (read: I forgot to send him the distribution agreement), and perfecting both mixes in the studio, we released a joint, two-track EP titled “Destiny” on Beatport, Amazon and iTunes and a bunch of other online shops. Destiny was inspired in part by the progressive house sounds of 2009, my days of riding my Honda VFR750 in the Colorado Mountains, the movie Drive, and Birdy Nam Nam’s amazing tune and video – Defiant Order. The idea was to create something flowing, with a steady build and a driving melody. I wanted to write something I could listen to on a highway drive in the rain. The track has been positively received overall on iDJ and on Soundcloud, getting over 20,000 plays in a period of a couple of months with an aggregated review score of 8.5/10 on InternetDJ. Destiny is my first commercial release in over a year, while I worked on trying new production techniques in 2014 – I did release a bunch of free music on Soundcloud. I’ve got a number of new electronic music releases in the works for this year – it will be an exciting one to be sure! Stay tuned and catch up with me on Soundcloud, Facebook or Twitter! I am also planning on redesigning my website here again relatively soon, so please excuse the mess while I work on it. Stay cool. Some surprises are good. 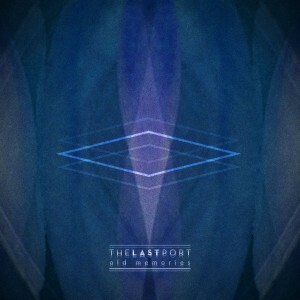 That was the second thought that ran through my head after listening to the first track of the four-track EP Old Memories, by Paris-based The Last Port. My first thought was “Whoa!” As the heavy, moody SKIES began with a spritly vocal, accompanied by a deep, heavy synth – shivers ran down my body in surprise. SKIES is a great, chilled melodic track with a repeating vocal theme, deep atmosphere and heavy beat. The only thing I would have preferred to hear here is more accentuation of the percussion, as it gets lost behind the synths. OLD MEMORIES introduces a cool, clean, crispy, trap-like beat with sizzling hats. Another vibrant, melodic and melancholy track – a great second track in this series. The transitions and breaks are fantastic, bringing out some of the more subtle elements. EMPTY HEAD and NTHNGCHNGS follow the same “formula” – chill, melodic, vocal and relaxing. All four tracks are fantastic and flow well together. 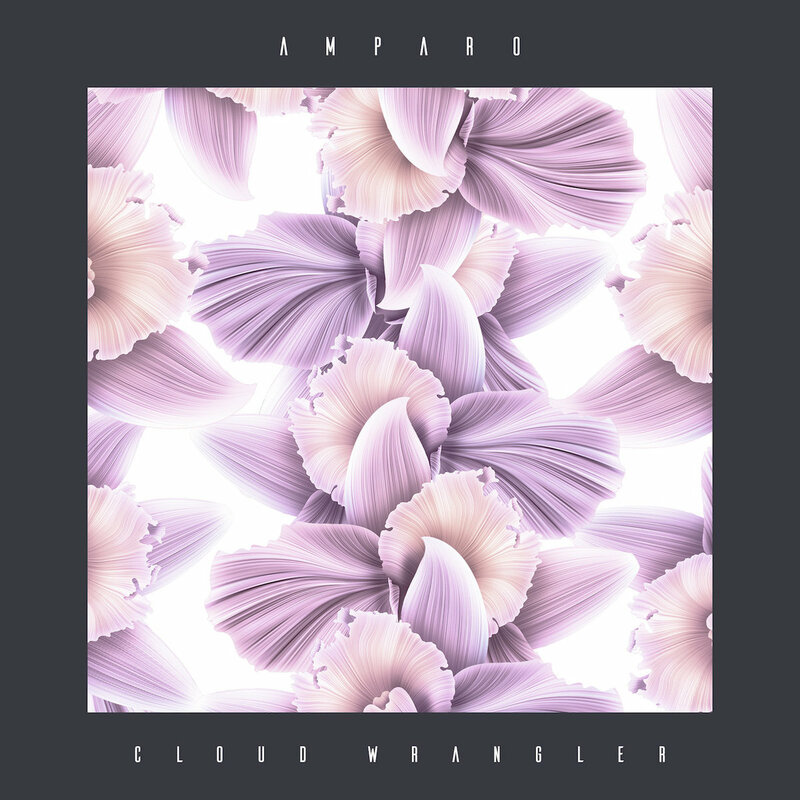 I’ve listened to the EP on repeat several times and aside from some minor things which I could nitpick on the mix, the overall production is very solid: well organized, well composed, original and most importantly – filled with feeling, something a lot of today’s mainstream electronic music often lacks. If you’re in the mood to chill, head to bandcamp and listen to the whole thing, before you inevitably get a copy to listen to in the car. It’s not what you’d expect. I’ll let the professionals say it, whatever it is, first. “…the world’s most unnecessary Nine Inch Nails tribute act…” harsh words from Rolling Stone. The reviews are mixed, it would seem. Makes sense, because I think this album created some confusion among the media and fans. I’ll be the first to admit that, while I appreciate deamdau5′ work on a few different levels, I’m not the type of dude who follows the hype about an upcoming album. Whatever. I pre-ordered the CD on Amazon when I heard it was coming out in a couple of weeks. Not even entirely sure how I found out about it, because it wasn’t being promoted as heavily – at least not paraded in front of my face – as some of his previous works. Anyway, I was definitely a bit surprised after sticking the first CD into my car’s probably sub-par sound system, fully expecting to be entertained with some chords and lively energy which often is heard in deadmau5′ works. What I got was pretty melancholy, relatively slow, ambitiously beautiful in its simplicity – but definitely not “EDM”. Whether that’s a good thing or not, is arguable – and honestly – I’m not going to get into whether deadmau5 “should” have gone in this direction. To me, the two-disc LP sounds like something deadmau5 wrote for himself, but really wanted us to hear. As a producer, I get it. As a producer who doesn’t like to stick to the same formula for too long, I really get it. Sometimes I just get bored of doing the same thing over and over – I know I can do more. Whether more should be done, and how it should be done is always a grey area. Obviously, many fans become fans because they like a particular track or at least a style of sound an artist is putting out there. So, to take some fans of progressive house and then suddenly offer to feed them dubstep might be a hard pill to swallow. There will be some fans who will ultimately be turned off by an experiment like this. There will be new fans found. There will be fans who listen to the album and say “It’s not for me, but I get it and I appreciate the effort.” At the end of the day, none of that really matters, in the grand scheme of things. As someone once wisely pointed out, the only constant in the world is change. deadmau5 is not the first or the last, by any measure, to make a departure from the usual formula. This is a good a time as any for deadmau5 to branch out and show he’s capable of more than just pushing play and repeating the same successful formula over and over. Like an actor, a producer is only as valuable, in the long run, as he or she is versatile. Experiments like this are required, timing is the only barrier. That all said, on to the music itself. I initially thought the first CD would be a bit more mellow, artistic, experimental, expressive, etc… and the second CD would be full of grand slam energy. Again, I was mistaken. 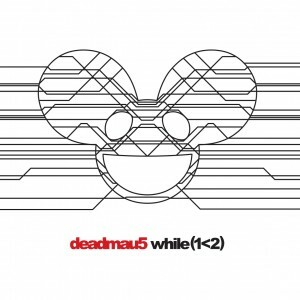 Both discs on the double LP flow smoothly, the whole thing meticulously planned and structured – as are deadmau5′ track themselves. The “production value” if I can just throw that general term out there, is as high as always. Basically, it sounds like deadmau5 is taking all he’s learned about structure, combining various musical elements and mixing and creating a new package, saying “this is what I can bring to the table with the skills I’ve acquired from working on electronic music”. The result of this effort is a well crafted project. Perhaps like Daft Punk’s Random Access Memories this album is either ahead of its time or the timing just isn’t right for this type of record. The main difference between RAM and while(1<2), aside from the name, is the distinct lack of a big single or two to help propel the album in the charts. Is while(1<2) a tribute to Trent Reznor? I’d say that’s pretty far fetched, as many different influences can be heard here – Eric Prydz’ Pryda immediately comes to mind. The album is filled with moody melodies, interestingly placed sound effects, and repeating motifs. The album maintains a constant theme of change by touching on various genres of music and expressing various emotions – of which there are many – while keeping a consistency through structure and mix. My overall take is that the album lacks energy, it feels fatigued in some places, like it’s giving up. It feels like a lot of salad and not enough meat. But, at the same time it introduces some interesting new production ideas, which – in my humble opinion – is something a good album should do. while(1<2) is not just a message to the casual listener, but a signal to EDM producers which subtly suggests “Hey, why not try something new and different, for a change?” I’ve defended Daft Punk’s RAM and I’ll defend while(1<2) because while these albums may not be the summer energy DJs crave, they provide the catalyst for generating new ideas in EDM. Now, if only deadmau5 released a remix/sample pack of the album for producers to mess around with! While the record itself isn’t particularly dance-y, there are so many interesting elements to play with, that it’s honestly a remixer’s dream project. Whether deadmau5 will choose to let people manipulate the sound he crafted, to mess with his feelings, is to be seen. In the meantime, I’ll take a Moment To Myself and listen to the record a few more times – soaking in the mesmerizing dynamics for which the mau5 is known. Edit: Decided to take a stab at remixing something from this album with a downtempo/chillout take on Superbia.